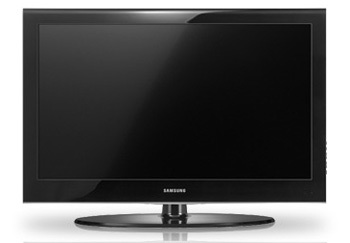 This entry level LCD Television from Samsung has 1366 X 768 resolution or 720P. While not the highest resolution available it is generally considered sufficient for 95% of viewing material including most HD programming. One significant upgrade from last years model in the 450 series is enhanced capability with digital devices such as HD camcorders and portable media players. The 450 series offers side mounted input ports for easy connectivity with these devices and the accompanying remote control has 'hot keys” which allow easy access. The 450 series has 1 HDMI input. 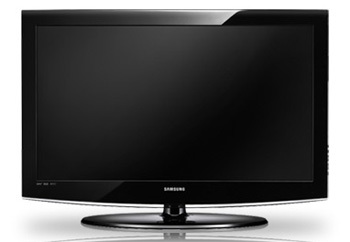 In addition to the upgraded features of the 550 series Samsung LCD Televisions the 650 series offers a considerable increase in feature set. Some of the upgrades include Samsung's patented Touch of Color which adds a translucent red hue to the bezel framing of the LCD. “With the application of TOC design to the 6 and 7 HDTVs, Samsung is truly changing the look of TVs and introduces a visual appeal that will make it the centerpiece of any living room.” said Jonas Tannenbaum, vide president of Flat Panel Marketing at Samsung Elecronics America. 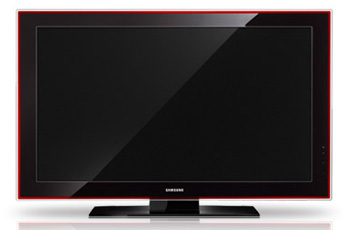 There are many upgrades over the 550 series including enhanced viewing angle from all axes, picture improvements, faster reponse rate time (Samsung claims 4ms). Other enhancements include Auto Motion Plus technology 120Hz motion blur reduction for smoother image quality especially when viewing gaming and action sports. This LCD also boasts deeper black levels, further glare reduction off angle, and is network capable through 1.3 HDMI input. It has enhanced remote control functionality with its wheel key remote function and a new content management interface (menu). Adding to the large increases in features and functionality of the 650 series is the 750 series. 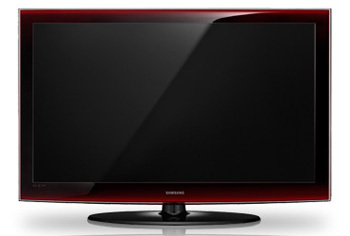 Upgraded features in this LCD television take network and multi media capability to a higher level. The LCD is MPEG and JPEG compatible using USB 2.0. The 750 LCD series also boasts a Home Viewing Gallery or MPEG3, an internal flash memory with premium content as well as enhanced audio technology through an integrated woofer design. “Featuring multifunctional connectivity, the Series 6 and 7 deliver an experience that goes well beyond traditional content viewing. Users can now connect and utilize the data stored in a variety of digital devices, turning their HDTV into a media hub. It's a whole new way of using HDTVs” said Jonas Tannenbaum, vide president of Flat Panel Marketing at Samsung Elecronics America.